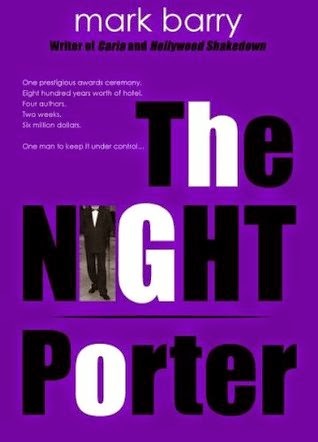 My only concern with Mark Barry’s wickedly clever book, The Night Porter, is that I may not be able to fully do it justice in my review. It really is a joy to read and a novel that operates on many different levels. Superficially it can be enjoyed as an observational take on life in a high-end hotel, as narrated to us by the night porter. It focuses in particular on a short period of time leading up to the Arkwright literary awards, in which the hotel will play a pivotal role, not least because it will become temporary home to four of the writers. The novel develops into something of a mystery as one of the writers is attacked in his room and left for dead. Barry’s tour de force is about so much more than this though. Throughout the novel, Barry skilfully affords us a playful metaphorical nod to the art of writing and never lets us forget that he is in fact constructing a story. He deftly raises the question of what it means to be a writer and whether one form of writing is any more valid than another. Barry uses the character of Julian Green, an acclaimed indie writer who despises the more commercial writers, to represent the ‘literary’ school of writing. There is the constant reference to the “paradox” within writing, whereby what is popular and successful is not necessarily ‘good literature’. Barry’s exploration of writing as a craft is made even more effective by his own brave experimentation with the novel form. Julian makes the comment that, to be successful, “footnotes and fancy titles” should be avoided and yet, ironically, Barry makes excellent use of both these devices. They lend the novel both a dry sense of humour and, in the case of the footnotes, a deeper glimpse into the mind of the night porter. The heart of the novel is of course the eponymous night porter. 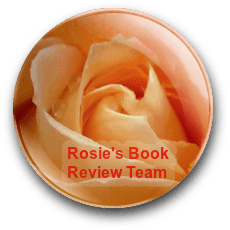 He is a complex and at times devious character, who captivates the reader with his gloriously prissy and yet sincere account of his life in the hotel. The night porter is a man defined by his job, hence his anonymous status, and in the beginning it would seem he is nothing without it. He subsumes his own identity to the needs of the job and we get the idea of him being like an iceberg, with only ten percent of who he is on show to the public. He seems to have no close friends outside of the hotel and reveals that he has been celibate for six years. The night porter prides himself on his isolationist stance as a “lone wolf” but, as he becomes more and more infatuated with the writers, we begin to question the impartiality of his view point. He is smitten by the romance writer Amy Cook and hates the “sociable nazi” Martin Sixsmith, who is the bar manager and his nemesis. The night porter may be the “all-seeing eye” of the novel but Barry never lets us forget that he is a human being with all of the flaws and prejudices that are part and parcel of that. The novel ends in a froth of fun when, like a magician Barry pulls aside the curtain, affording the reader a tiny peek at the mechanisms behind crafting a story. The Night Porter is, without a doubt, indie writing at its best. It is an intelligent, funny and most of all engaging novel and I recommend it wholeheartedly.